By and large, divorce is usually a direct result of infidelity, substance abuse, and/or money problems. So you’re ready to walk down the aisle with the love of your life. But have you done all your homework? I’m a former federal agent and a professional private investigator. While I’m not a marriage counselor, my firm has performed thousands of surveillance jobs that have resulted in divorce. By and large, these divorces are usually a direct result of one or more of three things: infidelity, substance abuse, and/or money problems. These problems are not usually specific items you can check off before a ceremony, but often there are tell-tale signs. I’ve written before about how to know if your partner is cheating. Here I’ll explain two easy things you can do before marriage to save yourself from the other problems. If you are marrying someone who has previously been married and divorced, you can and should read the divorce file. Most people in this country do not know that divorce files are of public record and accessible in most counties where the divorce took place. Ask your future mate directly where the file is located. Also, ask for the file number, if they know. If they bulk or hesitate about giving you the information, that is a huge red flag. Here’s a tip you won’t get from most private investigators: If you know the county where the divorce was filed and it is local to your area, then just go down to the courthouse and review the file. You can even get a copy for a few dollars, depending on the size of the file. If the file is not local, do not hire a private investigator with hourly rates ($75 to $150), as it will end up costing you $600 to $750. Call an “attorney service” in the area to obtain the file. These are professionals who are in the courthouses everyday filing papers and obtaining documents. They will gladly obtain the file for approximately $50, plus copy fees. Granted, there may be lies, exaggerations and innuendos in the file that the former (angry) spouse may have generated. On the other hand, there may be edicts and rulings handed down by the judge that you might find of interest. Maybe your future mate even agreed to anger management classes, drug rehabilitation or monitored visitations because of a variety of issues. Don’t put your head in the sand because you don’t have time or (even more sadly) you just don’t want to know. If you’re going into a marriage where financial problems are there from the outset, there are likely to be some arguments about that. Financial disagreements are the strongest disagreement types to predict divorce. Each partner should absolutely review the other person’s credit report. These credit reports are easily obtainable (and free) from each of the three credit bureaus: Equifax, Experian, and TransUnion. Make sure the report you review is an original. If you’re looking at a copy, you don’t know if the report has been altered. Anyone can add or eliminate items to their advantage. If your partner doesn’t want to provide you with their report – it’s a a huge red flag. When you walk down the aisle, in one way or another you inherit your spouse’s debt, judgements and crummy credit scores. The government will follow you both to your graves to collect. Officials can legally lien and take your social security retirement or disability. Bankruptcy won’t work, as student debt is almost impossible to erase from your report or obligation. You may also want to determine if your future mate has any bankruptcies, judgements, notice of defaults, tax liens or problems with the Internal Revenue Service (IRS). Some of this information will be on the credit reports in varying degrees. To be absolute certain of their financial status, have a private investigator run their name and social security number through the U.S. Consumer Public Filing Index for these five items. 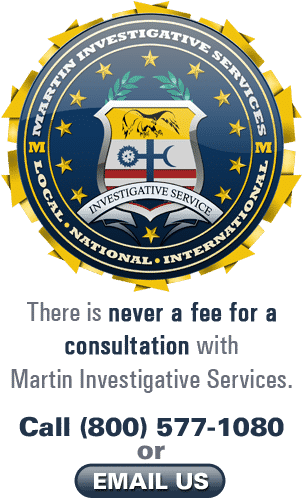 Only a licensed private investigator can perform this task for you. The cost should be about $95, but that’s nothing for the peace of mind that comes from knowing you won’t have a lifetime of financial nightmares after the honeymoon is over.